After the Tibetan national uprising that took place in 1959, a handful of Tashi Lhunpo Monastery monks along with many thousands of Tibetans escaped into India. 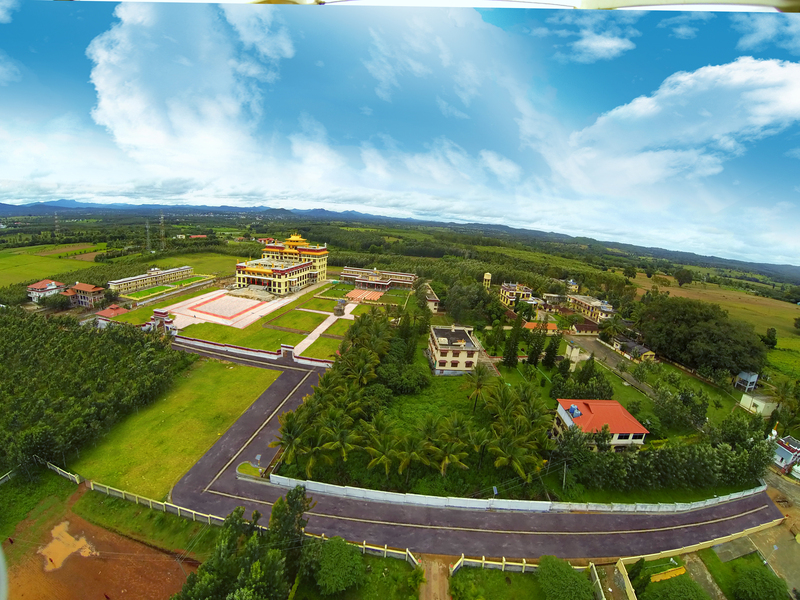 The Monastery was then subsequently re-established in Bylakuppe in Karnataka State, India. With the induction of new recruits over the years, the Monastery today has about 400 monks. Most of our major monasteries are thriving, but Tashi Lhunpo is still facing difficulties. Through the Tashi Lhunpo Monastery UK Trust's educational and cultural exchanges, including chanting and cham performances, the monks share our unique Tibetan culture and their special monastic tradition with people in Europe and other parts of the world. The Trust also supports the Monastery's work in India. Any assistance extended to the Tashi Lhunpo Monastery will be much appreciated. As Patron of the Tashi Lhunpo Monastery UK Trust and because of my unique relationship with the Tashi Lhunpo Monastery I support the work of the Trust and wish it success in its attempt to help the Monastery here in India. We are pleased to announce a free webcast of the sacred ritual dances (Cham) to be performed at Tashi Lhunpo monastery on February 3rd, 2019 (the 29th day of 12th lunar month). Registration for this event is now open at www.gompaservices.com. Registration and viewing will be available until February 18th, 2019. The sacred dances at Tashi Lhunpo monastery are performed every year on the second to last day of the lunar year, in accordance with the vision received directly from the sacred realm of Shambhala, in the 17th century, by the 5th Panchen Lama, Lobsang Yeshi. The sacred dances are performed in order to dispel all the obstacles for the coming year. This is one of the most important sacred rituals performed at Tashi Lhunpo and it is said that witnessing the sacred dances conveys a powerful blessing. The event will be recorded live and made available for viewing by the end of the day (India time). The webcast will then remain available for you to view at any time of your choosing until February 18th, 2019. This is a free webcast but registration is needed to view the webcast. At the time you register you will also have the option to make a voluntary offering in support of this event and Tashi Lhunpo monastery. To register, please go to www.gompaservices.com and sign in to your Gompa account and select Special Events / View all current events; then select the event (from the list in date order, or by selecting Tashi Lhunpo from the monastery / nunnery list). 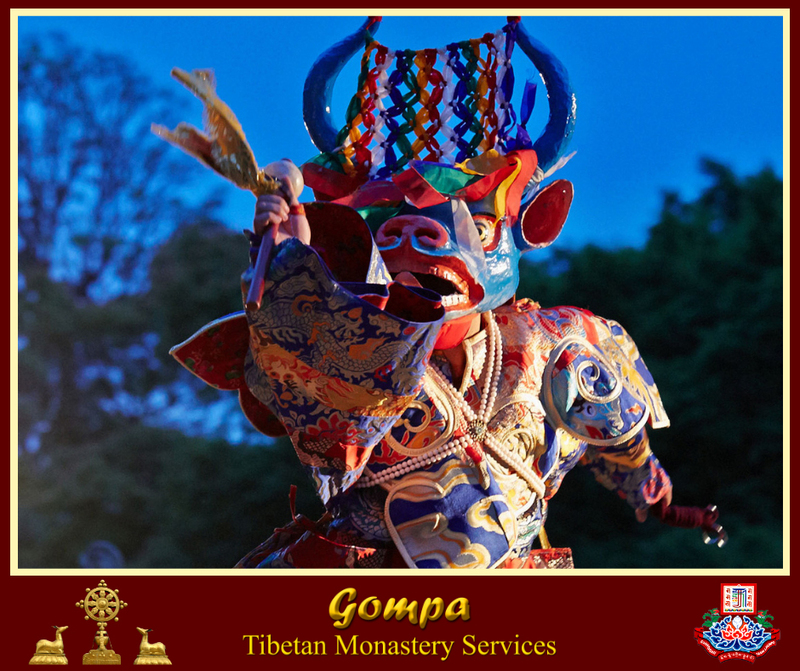 If you do not have a Gompa account, you can create a free account by selecting Sign in / New to Gompa at www.gompaservices.com. The final engagement in our tour of 2018 was a residency in Swansea for the Now the Hero project, where the monks made a Medicine Mandala as part of an amazing immersive dramatic production marking the 100th anniversary of the end of the First World War. A film of the highlights of the production has been made, and can be seen here: https://vimeo.com/293154572?fbclid=IwAR2xrKtcAJzkvDb-NCjA6NWU6Uv4IejbYv3_1XYLsGylXvOVmf5jRxTKey4 A recording of the Requiem, specially written for the event, may be available in the future. 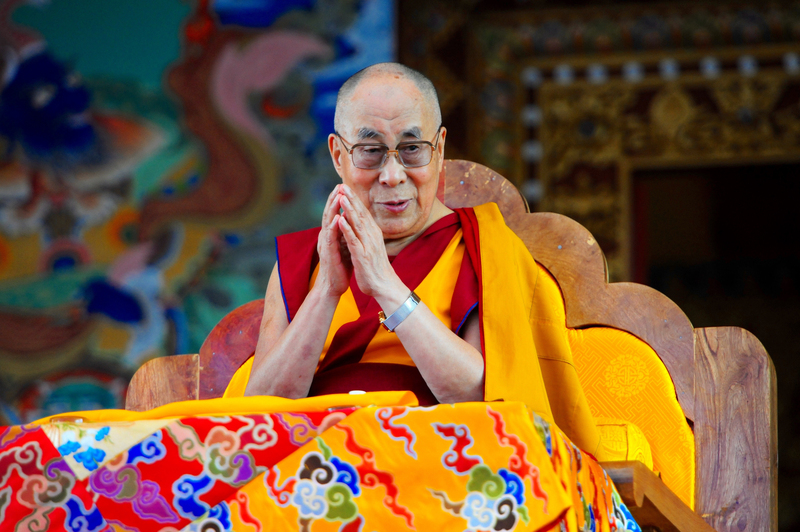 Our project for 2017/18 is the construction of a new Kitchen for the Monastery, following His Holiness the Dalai Lama's advice to make sure that monks were offered a good, nutritious diet to help them complete their studies successfully. The new kitchen in the monastery is long overdue, and will benefit the whole community. Please visit our Appeal page for more information. Tashi Lhunpo Monastery is one of the most important monasteries in Central Tibet besides being the traditional seat of the Panchen Lama.